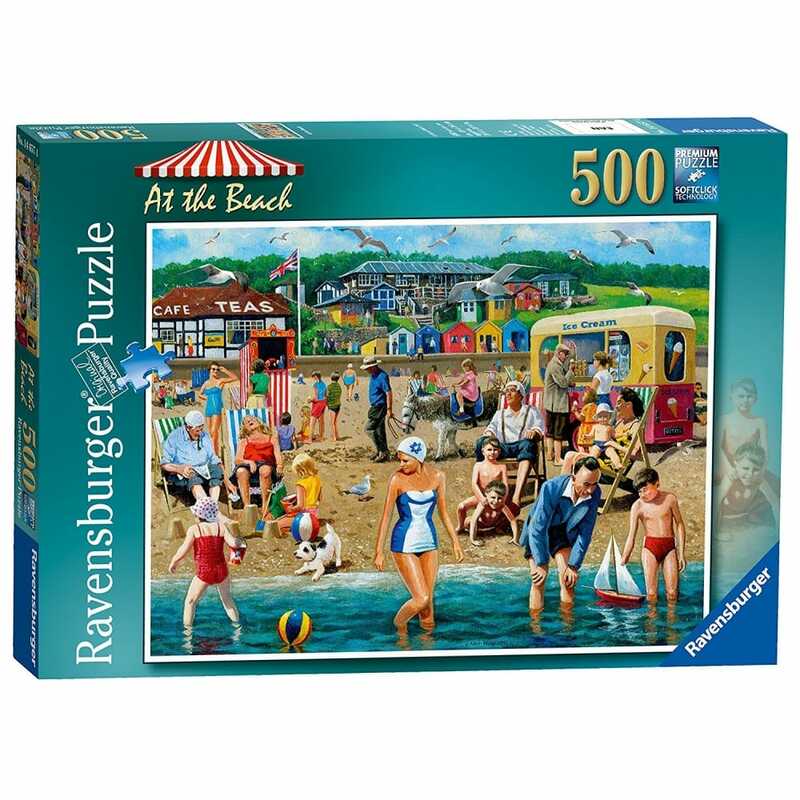 This large 500 piece puzzle is showing a day out at the Beach. The delights of a great British Seaside holiday are encapsulated in this nostalgic scene by Yorkshire-based artist Kevin Walsh. All the classic elements are just waiting to be discovered…. striped deck chairs, colourful beach huts, a pretty cafe and a traditional ice cream van. All you need for a perfect day at the Beach! This vibrant jigsaw is the perfect antidote to the winter blues or an ideal accompaniment to a lazy summer's day. Whatever the season, we hope you will enjoy piecing together the vintage slice of British life. High quality 500 piece cardboard jigsaw puzzle. The finished puzzle measures 49 x 36 cm when complete. Suitable for ages 10 years and up. Made from strong premium grade cardboard, with linen finish print to minimize glare on puzzle image.